Knowledgable guides, a grounded approach to the politics of Occupation, and an insight into the difficulties of Palestinian life. Having provided tens of thousands of people from around the world with top-quality political and critical tours since 1997, the Israeli Committee Against House Demolitions (ICAHD) is widely known for its knowledgeable tour guides, its grounded approach to the politics of Occupation, and providing an insight into the difficulties of Palestinian life. On our tours you will see how Israel’s settlement project has created irreversible “facts on the ground”. You will better appreciate what a truly just and lasting peace would entail. 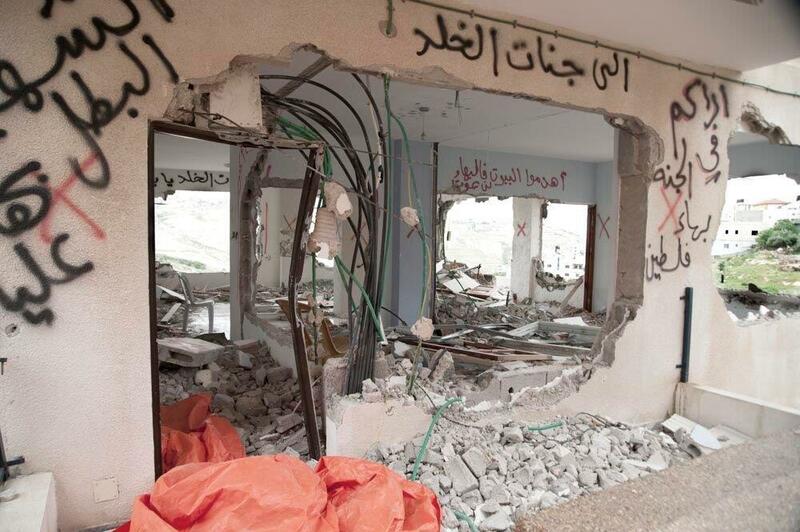 If you wish, you can meet Palestinian families suffering under Israeli policies of separation and home demolitions. 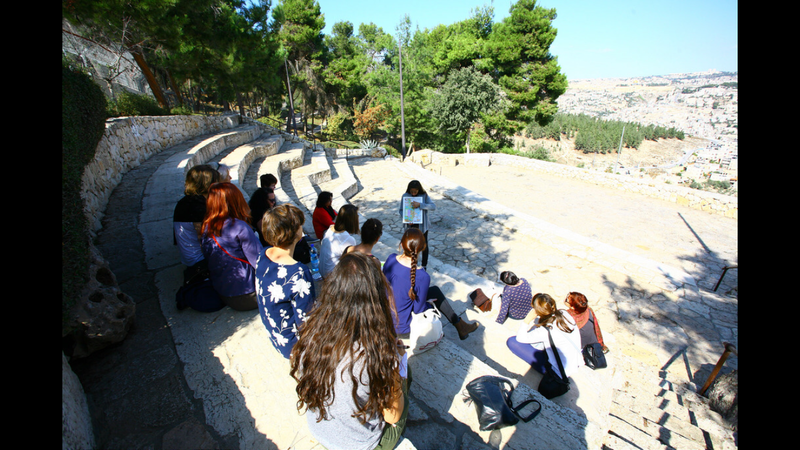 ICAHD believes that first-hand learning is the only way to grasp the social, cultural, political, and historical issues that underlie the Israeli-Palestinian conflict. 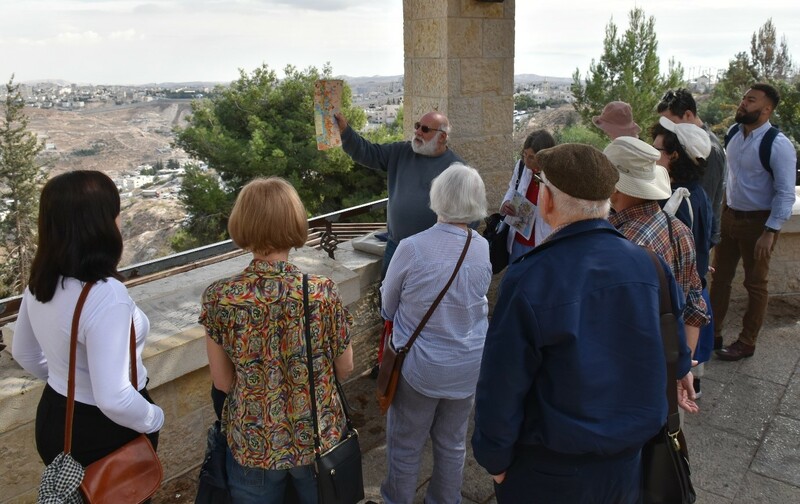 ICAHD tour guides provide tours in English and Hebrew. For groups of at least 5 participants we arrange any tailor-made tour or transport. All tours can also be arranged as a private tours (i.e., with no other participants), either because you simply prefer it this way or in cases where there are not enough other participants to go on a particular tour on a particular date. Prices will change accordingly. 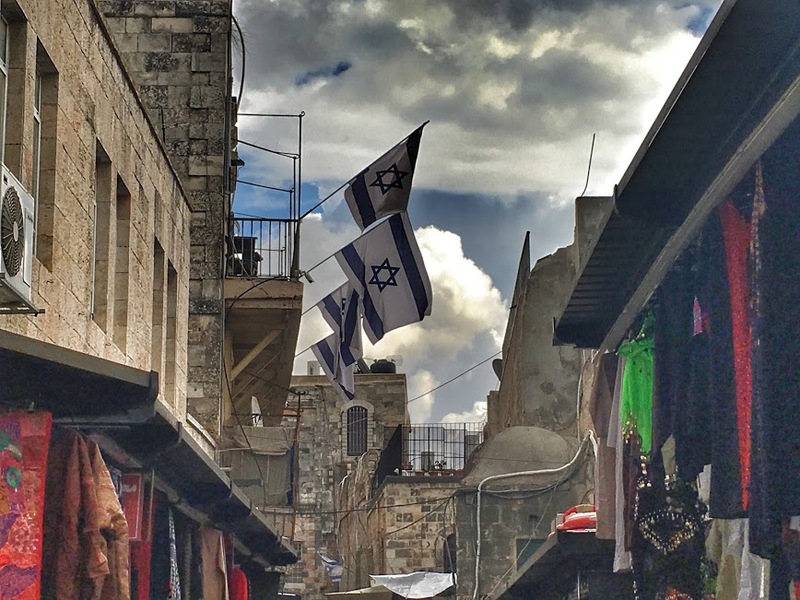 A three hour walking tour in Jerusalem’s Old City allows us to present the complex historical and political situation of the area in a way that weaves together ancient history and culture with modern life and politics. 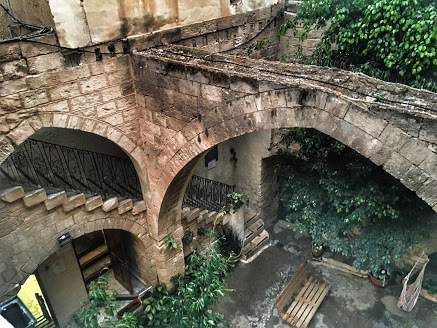 We walk through various quarters of the Old City, see numerous Palestinian homes that were expropriated by Israeli settlers and the Israeli government, see the difference in the living conditions of Palestinians and Israeli settlers, and learn about the systematic and ongoing oppression of Palestinians living in the Old City. The tour of East Jerusalem begins with an in-depth briefing about the historical and political background of the area. 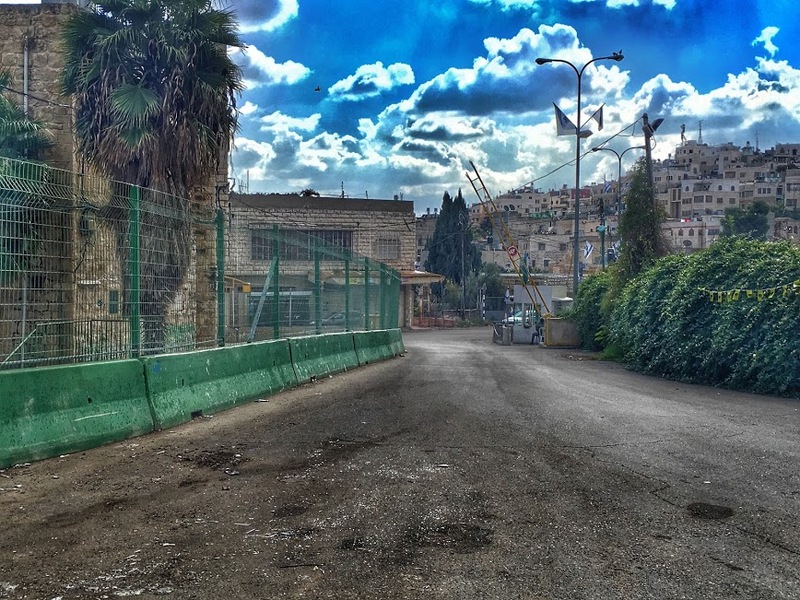 We then drive through Palestinian neighbourhoods such as Jabel Mukaber, Silwan, Sheikh Jarrah and Ras Al-mod to witness first-hand the reality of the Israeli settlements, all illegal under international law, that have been established in occupied East Jerusalem. Participants witness the disparity of services provided for the Palestinians compared to the quality of life enjoyed by the illegal Jewish settlers and the conflict arising from Israel’s settlement policy is discussed. 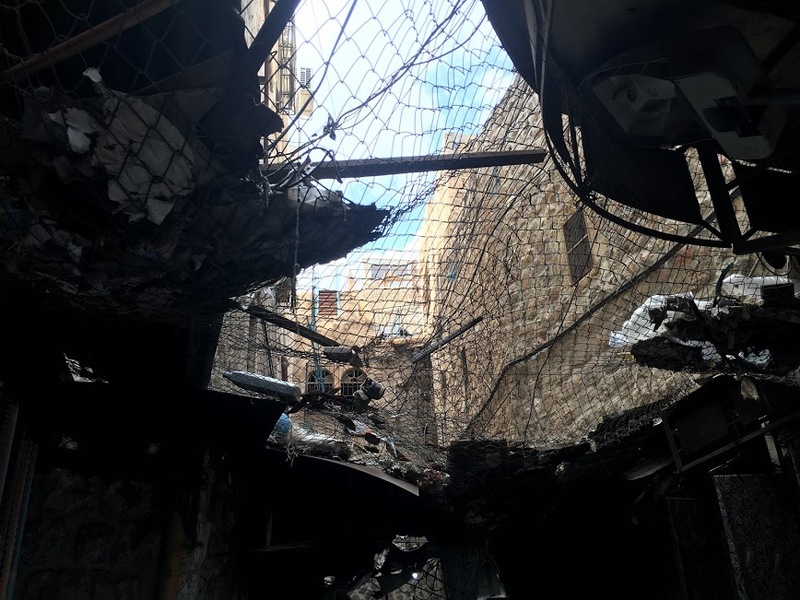 Participants see the ruins of demolished Palestinian homes, the eight-metre high Separation Wall that divides Palestinian neighbourhoods, and the new Israeli highways that connect the settlements. 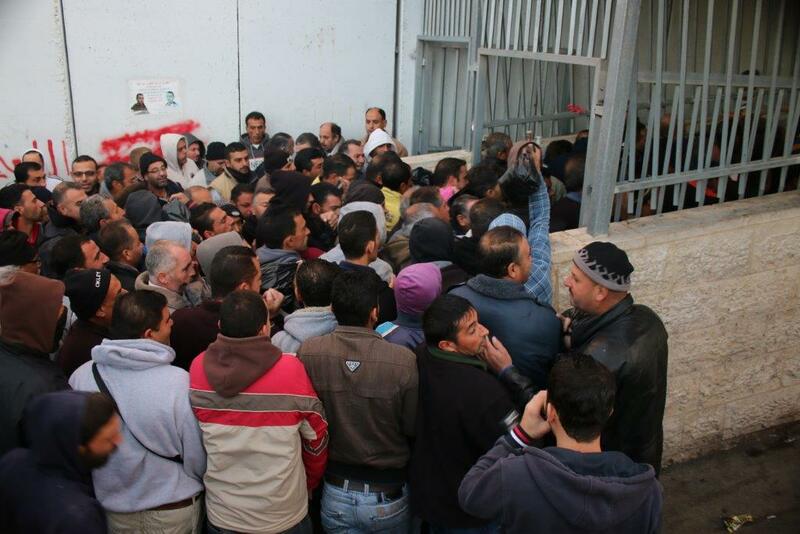 Subjects such as education and the shortage of classrooms, systematic arrests, family reunification challenges, zoning and planning discrimination and other important issues are presented to bring understanding about why life is increasingly difficult for the more than 300,000 Palestinians squeezed in to the small area of land available for them in East Jerusalem. 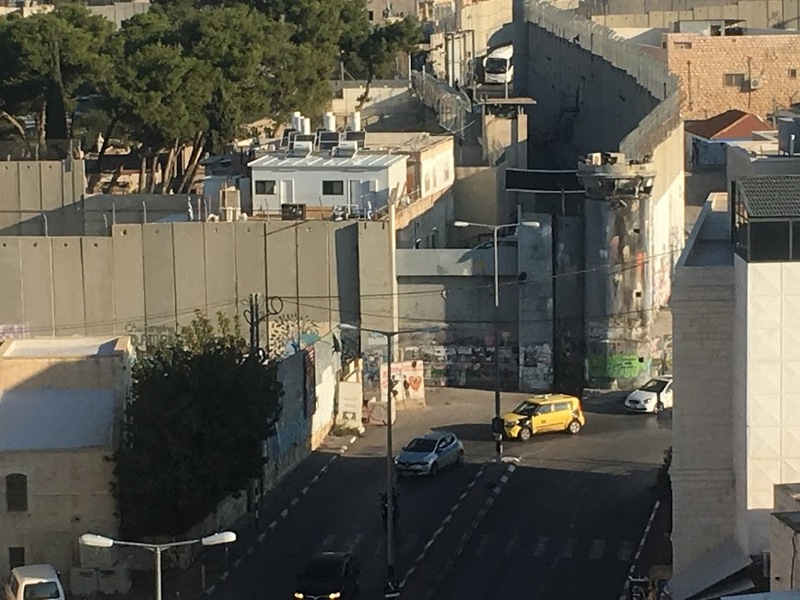 The ‘Matrix of Control’ tour of Greater Jerusalem presents a critical Israeli view of the Occupation and Israel’s long-term policies and political intentions. The tour exposes the conflict that is so clearly embodied in the Israeli Zionist concept of 'Greater Jerusalem' created when the post-1967 government officials and army bureaucrats expanded Jerusalem’s municipality borders to include as much agricultural and ‘open land’ as possible while leaving out the Palestinian towns and villages that rely on the land for their income and livelihood. 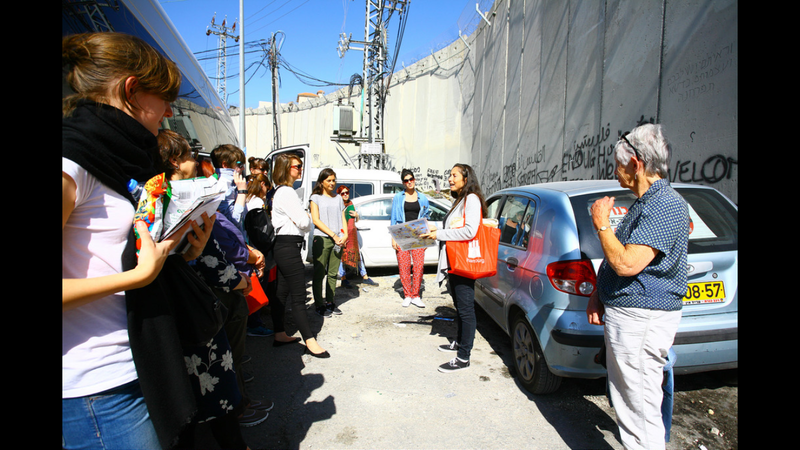 The ‘Matrix of Control’ tour begins with the East Jerusalem tour but continues through the settlement of Pisgat Ze’ev, the largest residential neighborhood in Jerusalem with a population of over 50,000, to access more of the settlement enterprise. An explanation is given about the historical and political significance of Judaizing the West Bank in order to forestall any viable Palestinian state. 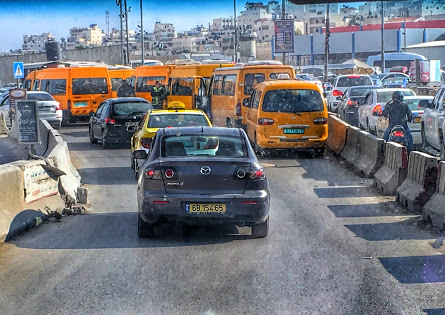 We take Highway No.1 to Ma’ale Adumin, the third largest settlement block in the West Bank. Set in the Judean Desert it boasts Olympic-sized swimming pools, water parks and an irrigation system where lawns are kept green and flower beds explode with colour even in the height of the summer while the deprived Bedouin communities in the valleys below suffer from water shortages. 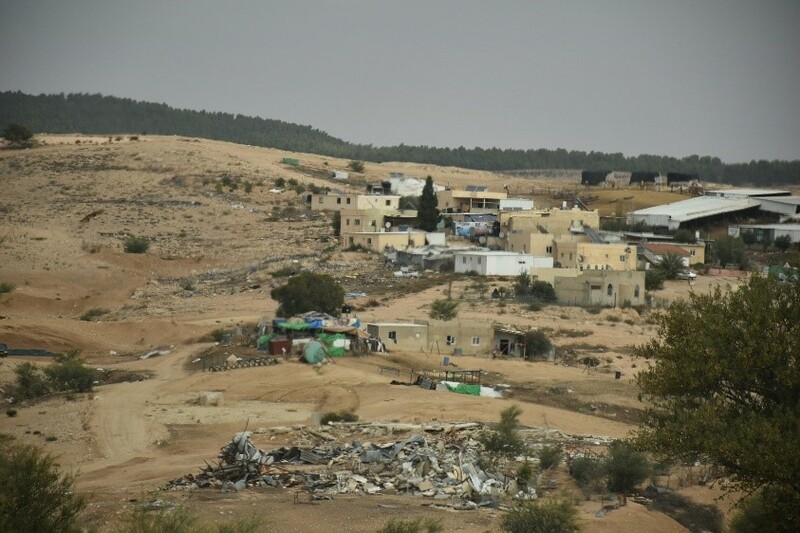 Learn about the continued expropriation of land, the threat of forced displacement to the Bedouin communities and plans for Israeli development of this land area referred to as E1 which will connect Maale Adumin to Jerusalem. This tour exposes participants to the Matrix of Control that Israel has laid over the strategic and fertile Jordan Valley to the exclusion of the Palestinian residents. 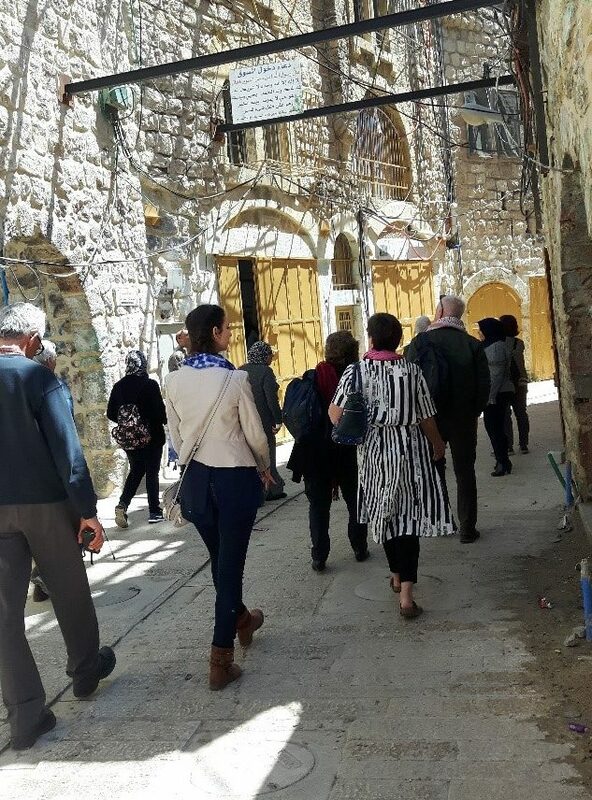 The tour of the Jordan Valley departs from near Jerusalem’s Old City and travels through East Jerusalem neighborhoods and north into the settlement of Pisgat Ze’ev. 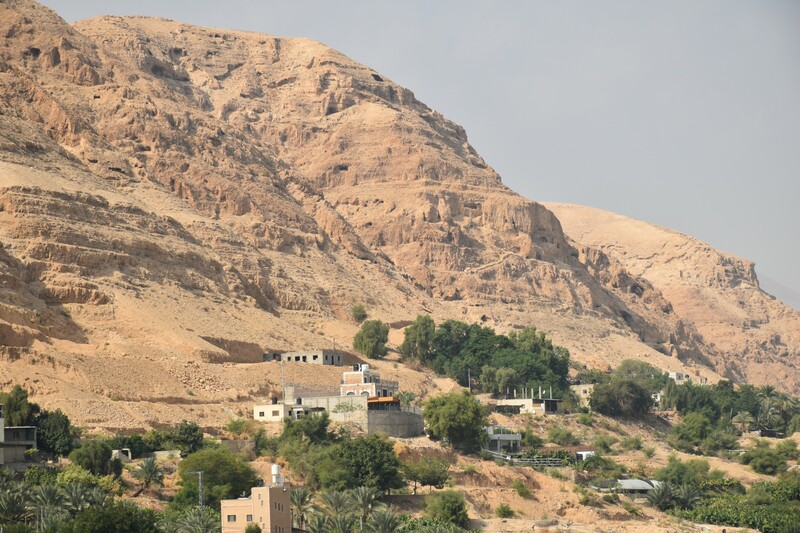 We slowly descend through the breathtaking scenery of the Judean Mountains towards Jericho, the lowest town on earth. An explanation is given about the intricate history of the Jordan Valley prior to 1967 and the devastation that has resulted since 1967 when Israel began its occupation of this region. The tour proceeds along Route 90 which runs parallel to the Jordan River just across from Jordan, seen in the distance. During travel various illegal Israeli settlements and Palestinian communities are observed. Some are visited to highlight the key humanitarian issues concerning life today in this unique area: home demolitions, forced displacement, child labour, movement restrictions, checkpoints and roadblocks. Participants also witness how Israel expropriates Palestinian land by declaring ‘closed military zones’ and ‘nature reserves’. 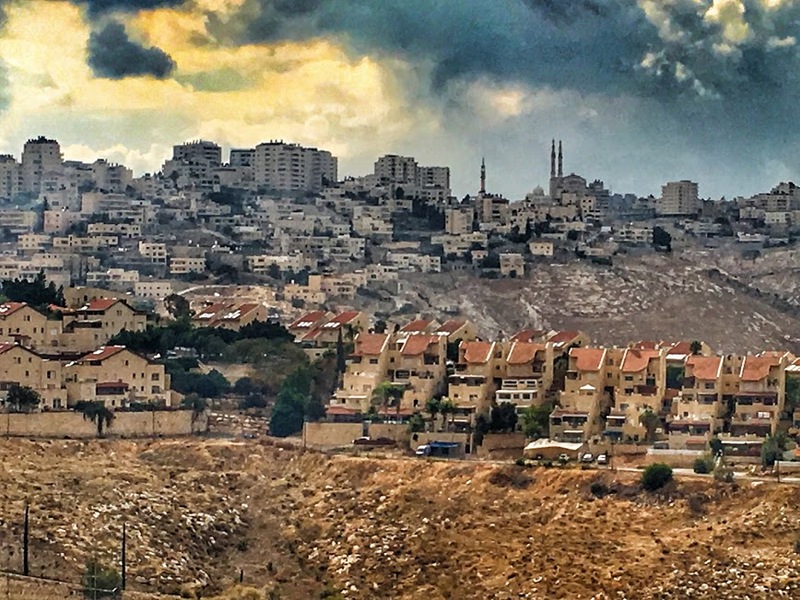 There is special focus on the immensely disproportional amounts of water used by Israelis in settlements compared to Palestinians living in the region. Stops off the main roads lead to the Bedouin herding communities for whom life is extremely harsh. No amount of reading, attending lectures or watching films can convey a genuine understanding of the facts on the ground compared to being there. ICAHD and the international chapters in the UK, USA, Finland and Germany recommend these study tours that are grounded in ICAHD analysis. 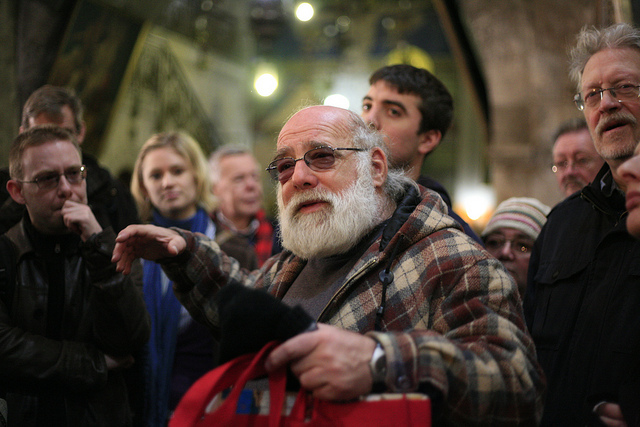 They offer unique time with Dr Jeff Halper, ICAHD’s Founder, who sets the scene by describing the current reality in Palestine/Israel within its historical and political context. as well as issues of women’s rights, traumatised families and refugees. These itineraries are individual, developed over nearly twenty years and come with hundreds of recommendations from people world-wide. 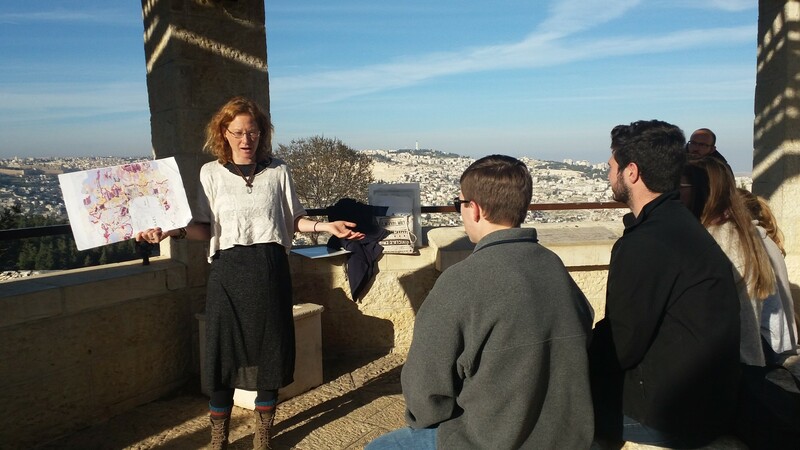 The tours provide engagement with inspiring Palestinians and Israelis and meeting them will change your life. Travel south into the Negev, through different areas in the West Bank, north into the Galilee and along the Mediterranean coastline. 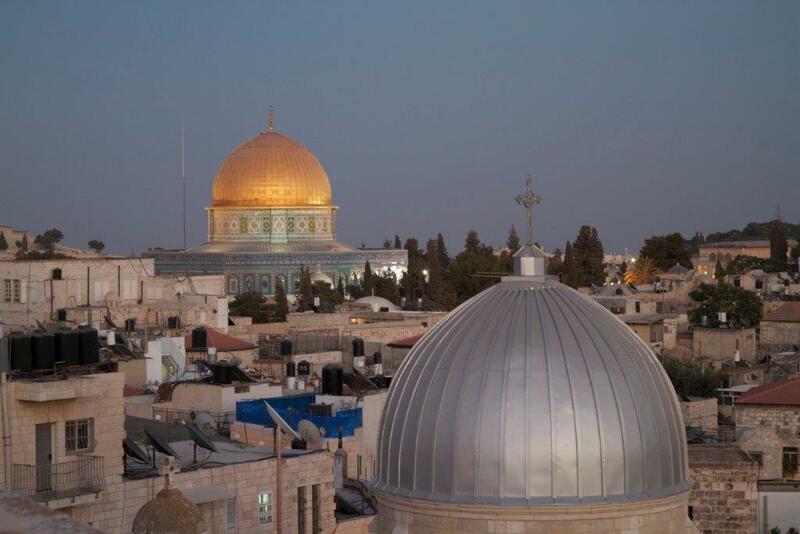 Accommodation is in Bethlehem, East Jerusalem and Nazareth. Travel is by our own private comfortable coach with an expert local driver from a licensed bus company. The group is kept to a maximum of 18 participants. The cost of the tour includes the full tour programme staying at good three-star hotels at half-board (bed, breakfast and evening meal), sharing a twin-bedded room with ensuite facilities, guidance from the tour leader, other day-guides and tips. Flights, lunches and travel insurance are not included. An additional supplement is available for single room accommodation by request. An application form must be completed, and a reference is sought. When participation is confirmed, a £300 non-refundable deposit is required. A comprehensive information packet for the tour is provided which includes the full itinerary and details about all aspects of the tour. Personal guidance is provided for each study tour participant. When retired Tribunal Judge Penny Wood applied to participate in the November 2018 Study Tour to Palestine/Israel, she wrote that she wanted to go to that part of the world because she’d never been there before. She is not a member of any organisation campaigning on the Palestine issue, but she is interested in helping fight injustice, so she wanted to hear directly from people living there about what life is like and what they want and will accept for the future.